» Is Our Obsession with Consuming More Protein Killing Us? Walk down a grocery aisle, or do a quick Google search on weight loss, and you will be inundated with low carb, high protein diets, articles and products. Low Carb, Paleo, Keto, Eco-Atkins, Zero Carb are all hot diets of the day and they are all focused on consuming more protein and fewer carbs. 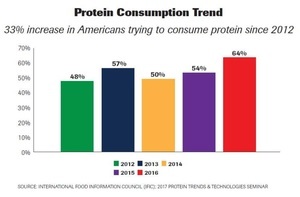 Based on an annual International Food Information Council survey, 64% of Americans are trying to consume more protein, and that percentage has been increasing. In fact, we already eat far more protein than is recommended (far more than we did 50 years ago) and far more than any other major country in the world. But guess what all that protein is getting us? We are the most overweight and unhealthiest major country in the world. According to the Chartbin analysis of Food and Agriculture Organization of the United Nations consumption data, the average American consumed 114 grams of protein per day in 2007 and the amount has likely gone up since then. The recommended daily allowance of protein is .8 grams per kilogram of body weight. So, the average US man (per CDC weight 195.7 lbs./88.6 kg) should be eating about 70.9 grams of protein daily, while the average US woman (per CDC weight 168.5 lbs./76.4 kg) should consume 61.1 grams of protein. Clearly, we are consuming more protein, far more, than we need…by at least 60%. 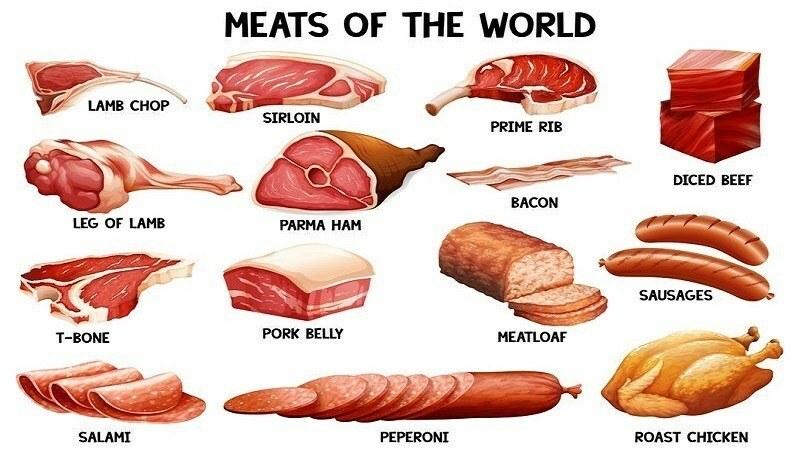 And yet, the miseducation by food companies and the media has 64% of us scrambling to eat even more protein. So, what’s the matter with all this protein? Dr. Garth Davis is a Bariatric surgeon, performing surgical procedures on the morbidly obese, and author of the book Proteinaholic: How Our Obsession with Meat is Killing Us. After evaluating thousands of patients, he was struck by the fact that most of them were trying to lose weight by consuming more protein. In fact, many, despite their obesity, were afraid that they were not getting enough protein and that could make them sick. Dr. Davis set out to study the health effects of high protein diets, the optimal diet for health and the Blue Zones, the cultures on earth where humans live the longest (highlighted in Dan Buettner’s book The Blue Zones: 9 Lessons for Living Longer). Myth #1: Consuming more protein is NOT the key to weight loss. In fact, animal protein is one of the biggest contributors to the obesity epidemic in the US. In nearly every study, he found that animal protein is correlated with weight gain. Let that sink in for a minute, the studies show that the most recommended diet actually CAUSES weight gain. In hindsight that is not too surprising, because what do bodybuilders take to gain body mass and muscle? Yes, you guessed it…PROTEIN. Myth #2: Animal protein is NOT one of the healthiest foods, as suggested by so many gurus. In fact, animal protein is strongly associated with diabetes, hypertension, heart disease and cancer. Myth #3: Plant-based protein not only exists (beans, pulses, nuts, vegetables and grains) but it is also usually much better for you than animal protein. Myth #4: A lower protein (and low fat) diet is the most effective way to lose weight (and keep it off), improve health and prevent future disease. Myth #5: Carbs, vilified by nearly everyone, are not the enemy. In fact, carbs are the basis for most of the caloric intake of the diets consumed by the Blue Zones cultures around the world- as much as 80% of calories in some of the long-living cultures. The sad truth is that most of America is trying to lose weight and there are so many diet gurus espousing the low carb, high protein diets like Paleo, Keto, Atkins, South Beach, Sugar Busters, etc, that we have all been misled into believing they are right. I struggled to lose weight for about ten years trying these diets and other variations. And while I might have lost 5-10 pounds during a month or two, it was impossible to stay on them. Every time I dropped off one of those diets, I would end up gaining back all the weight (and usually a little more). Consuming more protein is NOT the key to weight loss. In fact, animal protein is one of the biggest contributors to the obesity epidemic in the US. In reality, our cells need carbs to survive. Carbs, not consuming more protein, are the source of energy for the cells in our body. That is what makes these low carb diets so hard to maintain because we are quite literally starving our body of the basic building blocks it needs to survive. 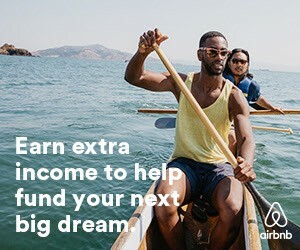 This is not a healthy way to live. Clearly, the plant-based protein sources above are far lower in saturated fat than the animal-based proteins. Given that the recommended daily amount of saturated fats is 13 grams, it is easy to see how you would quickly exceed that daily amount consuming animal-based proteins. And if you eat bacon and cheese, you should be scared to death because those two break the bank by themselves! As a vegan, the most common question I hear is, “So, where do you get your protein?” Well, the reality is all protein comes from plants originally. Animals do not “manufacture” protein. They get their protein from eating plants (or other animals). So, if we get our protein from animals, that is really just an inefficient way of recycling plant protein through an animal. All the plant proteins listed above provide all the daily protein we need, but they do it without all the saturated fat of animal protein. What would the Blue Zones tell us is the best way to eat for longevity? Not surprisingly, it is a diet mostly composed of fruits and vegetables. The majority of the Blue Zone cultures consist of mostly plant-based diets, if not 100% vegan. While some of these cultures do consume some animal proteins (mostly fish) in their diets, they are typically no more than 10% of their caloric intake. That is quite different from the average American diet where 15% to 20% come from animal protein – and even higher for those on a low carb, high protein diet, often 40% to 50% of those folks’ calories come from animal protein. Well, the reality is all protein comes from plants originally. Animals do not “manufacture” protein. While I am a vegan, I certainly realize that not everyone can go 100% plant-based with their diet. However, I do believe that you should try to limit the amount of animal proteins you consume per day to about 10% of your calories. And if you have heart disease, diabetes or cancer, you should consider going 100% plant-based, at least for a while to see if it improves your health. I am a PE investor focused on the food and agriculture industries. I share insights on the food revolution in an article on Financial Poise. You can subscribe to my column to learn more about the trends in food, sustainable agriculture, nutrition, etc.